Hello lovely readers! I hope you have all had a wonderful weekend. I cannot believe that we are still waiting for Fall weather here in South Florida and I am so jealous of all of you who are enjoying cooler weather and changing leaves. I am so grateful to all of you for linking up and sharing your delicious recipes with all of us. Please make sure you stay awhile and visit some other linkers and show them some love. 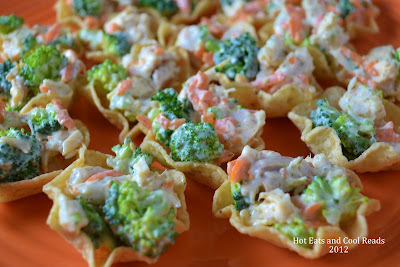 This week's most clicked link were these super fun Dilly Chicken & Veggie Cups from Hot Eats, Cool Reads. 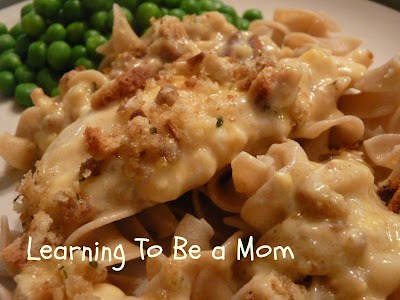 On to the features, I have a feeling that I will be making some variation of Learning To Be a Mom's Crouton Chicken. As you may know, I don't eat red meat so I can never have enough chicken recipes. I am a huge sucker for toffee so I just had to feature the next two desserts. 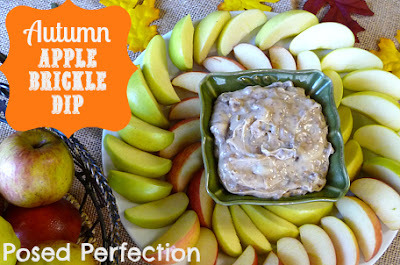 Check out this Autumn Apple Brickle Dip from Posed Perfection. 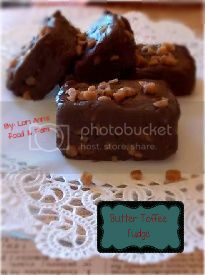 And if you need something a little more chocolatey you can head on over to Lori Ann Food & Fam and try her Butter Toffee Fudge. Thanks so much for hosting, Kaylee! And a big thank you for featuring my Autumn Apple Brickle Dip! Hope you have a great week! Thanks again for hosting! - I love your hop! Thanks for featuring my crouton chicken. I hope you like it! Thanks for another great party.